Teaching - Evelyn L. Jensen, Ph.D. Teaching and student mentoring are central endeavours for professors, and tasks that I embrace with enthusiasm and dedication. When teaching I will work to develop a “critical consciousness” in my students, where they learn to think analytically and creatively about the issues and data presented to them. Students should be challenged to draw connections among concepts, gain practical, hands-on experiences, see the interconnectedness of biological and social systems, and reflect on the broader picture. Developing a scientific world view and global perspective will serve students well no matter where life takes them. 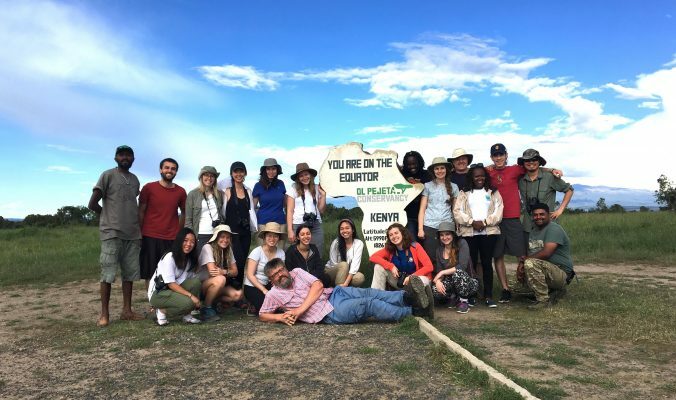 Group photo from a Queen's University field course in Kenya that I helped out with!